Impressive Minimalist Design. 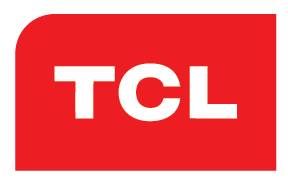 TCL UHD DTV presents its sleek whole metal minimalist design with elegant Two Leg Stand that brings out class and sophistication for better viewing experience. See the wonders of finer and clearer motion pictures in a larger screen. With TCL Ultra HD DTV, see clearer and refined TV resolution with its 2K to 4K Upscaling feature and enjoy finer details of your favourite TV shows and films. Brighter and crisper low res frames. Enjoy your usual TV viewing with HDR Pro technology that enhances colors every frame for clearer content viewing. Watch sports up close and personal. With its in-built sports mode, watch every game as if you are watching it up-close and personal with optimized images and sound settings-- so you are plunged right into the stadium atmosphere! Watch—Online. Browse, stream, play, and do all fun things online with TCL UHD TV’s TV+3.0 OS. Stream and Play. Like apps on your smartphone, you can stream and play with TCL UHD TV+Appstore as there are streaming apps such as Netflix and YouTube that feature over 5,000 streaming channels, movies, and TV shows that you and your family can enjoy. Watch and appreciate TV content in high quality audio. Appreciate what you see in full audio with Dolby Audio as you immerse yourself into the world of virtual wonders. No Stress, Just Click. Control your TV without stress using your phone with T-Cast. For more flat screen tv prices, visit any Abenson store and avail the best tv promo prices available.